Electric Orange are your Home Technology Specialists, covering the North West, Liverpool, Wirral and Cheshire. Whether you’re looking for Home Automation, Mulita-room TV and Audio or Home Cinema, we are here to help and answer your questions. SONA integrate award-winning technology experiences into the places and spaces you live, work and play and help to ensure you are ready for todays and tomorrows technology with expert advice and support. We design, install and support multi-room audio, Ultra-HD video, lighting control, bespoke private cinema, cable infrastructure and security and CCTV systems. Our highly experienced team are skilled in interpreting your unique requirements and establishing how technology can most effectively enhance your life, both for leisure and productivity. Each of our projects is completely individual and we never recommend features or functions simply for the sake of it, with every element of a design focussed on you and your family. GHS is an Audio Visual & LED Lighting company. We specialise in AV and LED Projects with a distribution division supplying LED products to trade and retail. The business has been built on an extensive and prestigious client base including Carnival UK, NG Bailey, CEF , Manchester University, Selfridges (Mcr), Hilton Hotels and Holiday Inn, spanning across many sectors from leisure and education to commercial and residential. Our steady growth has been built on referrals from satisfied clients and repeat business; a testament of our clients’ confidence in our ability. We have spent over 10 years engineering and delivering automation systems worthy of some of the world’s most luxurious homes and super yachts. On land and water, interior and exterior spaces have been transformed into something truly special, something truly unique and something truly Sensational. We are Meticulous. Honest. Discreet. Experienced. We are for those who appreciate the difference. We design, create, install and maintain automation systems with the capability to enhance your lifestyle; through entertainment certainly, but also through creating personal environments that are more stimulating, stylish and secure. At the heart of all of these possibilities is a unique central nervous system for your home or yacht, comprised of an invisible network of cabling serving a multiplicity of functions both now and long into the future. In reality, we make the seemingly impossible, brilliantly possible. We take the most complex, demanding and outlandish ideas and we bring them to life. Not only have we been doing this for over 10 years, we have also been taking automation and security systems to levels of sophistication and elegance others merely dream about. We have worked on challenging projects all over the world and for clients who did not want simply ordinary, they wanted nothing less than extraordinary. So that is what we gave them. We believe in intelligent simplicity – when even the most complex technologies are used to create truly great automation that is so clever, it is simple. We ensure all technologies function perfectly together, from adjusting lighting to suit your mood and pressing play in your home cinema, to manoeuvring CCTV security cameras, all at the touch of a button and in most cases, from the palm of your hand. None of our systems can be picked up off the shelf. In fact every aspect of your integrated system, from its bespoke design and engineering, to its installation and after-care, is what sets your Sensory system apart. 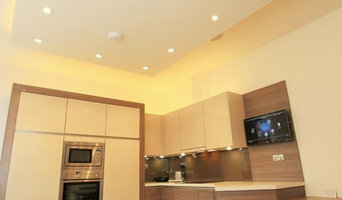 NP Integrated Technology ltd have been involved in domestic and commercial technology installations for over 25 years. From system design to completion we are at the forefront of cutting edge technology. our projects can range from simple one room lighting and control solutions, to complete integrated smart home and intelligent commercial premises installations. Smart homes are now a reality, everything from Multi-room music systems, Hd video distribution, Lighting control, Cinema Rooms & Security. Working in this field for many years Nirvana Audio Visual can help you realise how easy it is to bring your home to life and make it intuitive and simple to interact with. Our services range from simple help with the initial structured wiring designs through to supply, installation and commissioning of full home control systems. At Nifty, we are passionate and committed to providing the best service and support for all of your home automation needs. 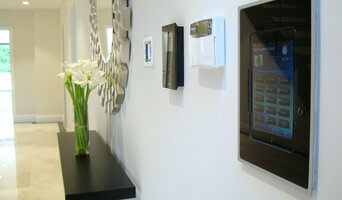 We pride ourselves on creating the most intuitive, reliable, and secure home automation systems possible. We are also looking to connect with Interior Designers in our local area. We integrate a large number of brands (Ring, Nest, Philips Hue, Yale etc.) into your home using Z-Wave and smart technology. Using our Nifty backbone, we enable you to add more technology as you want and can afford. In addition, the Nifty system provides reports on your usage, enabling you to manage your home more efficiently. Curtis and Nicholas can advise you on what technology to use and buy, everything from blinds to lights, TVs, locks, and cameras. We also work with second homes and caravans to enable people to remotely look after and maintain their properties. Our automation systems and installations future proof your home, responding to the needs and lifestyle you demand from it. We work with some of the most demanding clients on the globe, their exacting standards matched only by our own. Fantastic smart home automation features:- Perfect lighting, Advanced security, energy saving, audio visual entertainment solutions, seamless intergration. We are specialist installers of automation systems in London, Cheshire, Yorkshire, Isle of Man and across the UK. 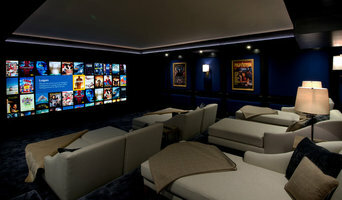 Home Cinema - Home Automation - Smart Lighting - Wiring Infrastructure - Security - Multi Media - Networking Design - Supply - Install - Support We have been designing, installing and maintaining some of the best Home Cinema, Home Automation, Home Entertainment and Security Systems for our clients for over 8 years. We have had the privilege of working in some of the very best private residential properties world wide. We keep our feet firmly planted on the ground, we also work with some of the best clients, and have been steadily building our client base from the humble Cheshire house or London apartment to the very finest properties on home soil and over seas. Who we are… We’re AVA Projects and AVA stands for Audio Visual and Automation. We’re the team that turns dreams into reality. What we do… We turn homes into entertainment havens, relaxing sanctuaries, intelligent retreats, a source of envy to others. How we do it… With a lot of pride and a lot of love. Our skilled team use leading edge technology to deliver only the very best. Our idea… Design and build a showroom to show our customers the very best in home cinema, home automation, lighting and audio visual products. A place where customers can touch, see and feel how everything works. Leaders in bespoke custom Smart Home Automation & Audio, Video installations. Audioception are the Uk's leading home cinema designers and home cinema installation specialists. We design and install high performance cinema systems, home cinema speakers and home music systems. We are expert home cinema installers with a passion for perfect systems that you can use everyday. If you want to enjoy Film, TV, Music and Sport at its best, you’ll find our professional cinema and music systems are without equal. Our clients are incredibly discerning and include many musicians and professionals from the Music, Film and TV industry. On average, these very busy people use the systems we design for them more than 3 hours every day. We believe this is the best indication of our expertise. In spite of our long history in the industry, we regard every system we design as an opportunity to exceed our clients’ needs. The ultimate performance remains our goal because the more convincing the picture and sound quality we deliver, the more pleasure and excitement you will derive from your music and films. Welcome to Brothertons - Home Entertainment at It’s Best. We have been established in St Annes for over 30 years, providing our customers with the knowledge and service we feel can only be achieved by an independent. As well as being a local independent we are a family firm and pride ourselves on giving you: •Friendly helpful advice •Superb after sales service •Free local delivery on most products •In home setup and demonstration. Please call in and we are sure you won't be disappointed. What else can Little Hulton, Greater Manchester home automation companies do for me? Aside from the (now fairly widespread) smart thermostats that can be controlled remotely, Little Hulton, Greater Manchester home automation specialists can install your home with all sorts of technology and media products to help your home become as efficient and accommodating as possible. Not only can your heating be monitored and controlled using smart technology, but so can your other utilities and bills. Energy monitors tell you how much power you are using and timed or remote controlled adapters allow you to reduce the amount of electricity you use by making sure you only have items switched on when necessary. Lights can also be automated so they are set to turn on and off (or dim/brighten) at different times, be remotely controlled from one interface or be motion sensitive to only be activated when you are at home. Your home’s security can also be centrally controlled and monitored. There’s a whole plethora of different smart locks, camera systems and alarms to choose from. You could go for a fob system, a digital keypad or doors you unlock with your phone. What home entertainment can Little Hulton, Greater Manchester smart home installers install? Home automation and smart technology is not just about making your home more energy efficient and secure, there’s also some fun to be had. Home media and home cinema installers in Little Hulton, Greater Manchester can kit out your home with the latest technology such as smart TVs, media streaming devices, speaker systems and smart home assistants. If you’re after the full home cinema experience, Little Hulton, Greater Manchester home cinema specialists not only can design the seating and decor for your dream home cinema, but most of them can help you find specific media control options, conceal your television and various accessories, set up optimal seating, choose and install ideal lighting, and help create the ultimate viewing environment. What is your experience in the home automation, smart technology or home cinema industry? 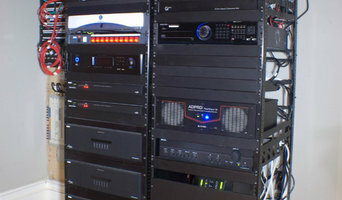 Are your home automation or technology installers experienced with electrics? Are you a member of CEDIA (Custom Electronic Design & Installation Association)? 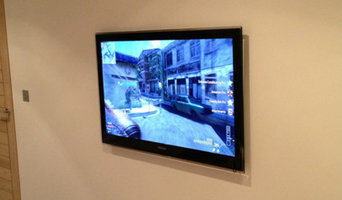 Do you only handle home technology installation, or do you offer design work for a home cinema or TV room? Can you install media items and smart home technologies around the whole house? What is your full list of services? Who will be carrying out the work? Do you use any subcontractors? Find a home automation company or home cinema installer on Houzz. Narrow your search in the Professionals section of the website to Little Hulton, Greater Manchester home automation companies and home cinema specialists. You can also look through Little Hulton, Greater Manchester photos by style to find a media or technology installation you like, then contact the professional who designed it.